And Jacob Campbell was up at six a.m. He’d been too excited to stay in bed, and had only managed a couple of hours sleep at most. Though he was getting a bit too old to believe in Santa at almost nine years of age, he could have sworn he’d heard something at about midnight last night. The whole house had shaken; could it really have been down to that famous sleigh landing on the roof of the house? What would he get this year, he wondered. He’d been a good boy. Always was, in fact – never got into trouble like some of the other kids. He was too busy reading: usually the latest Rowling, Shan or Gaiman book, or magazines filled with pictures of fantasy TV shows and films. Either that or playing with his model figures. Jacob’s shelves were filled with toys from various horror movies, including those he was too young to see … officially (his very cool Uncle Tom often let him have sneaky peaks when he stayed with him down South). Up on the shelf, mini-Predators battled Aliens, Frankenstein was frozen in mid-punch, attacking Dracula, and Jason’s rematch with Freddy was in full swing – all while Godzilla and King Kong looked on with mild amusement. Perhaps it would be another figure, a bigger one this time? He’d dropped more than a few hints that he’d like the creature from Cloverfield, in spite of the fact he’d never seen it. By all accounts neither had the audience much. 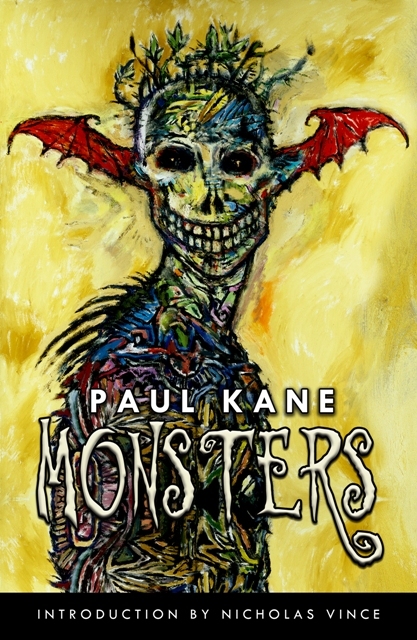 Read more in Monsters by Paul Kane. Monsters is available from Amazon UK, Amazon US and other good online book sellers.